The review breakdown continues on these babies! Alright y'all - welcome back! 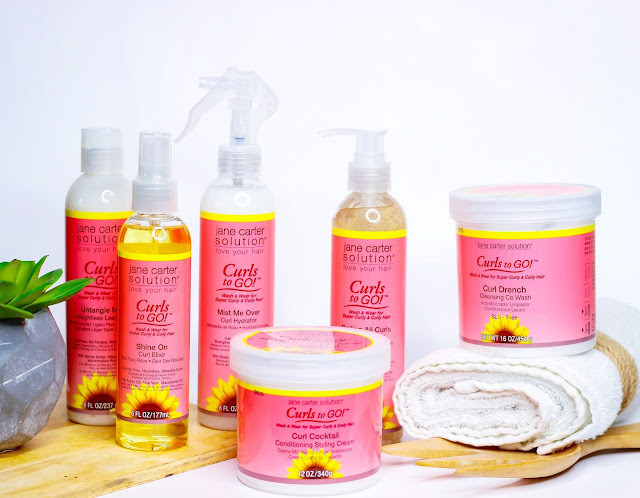 If you missed part 1 and my breakdown of the Curl Drench Cleansing Co-Wash, Untangle Me Weightless Leave-In, and Curl Cocktail Conditioning Styling Cream, click here. If you're ready for part 2, read on! Interested in learning about the look and feel of each product? Check out my demo video below! Pectin: Naturally occurring compound found in the cell wall of plants. It's used to keep oils and water from separating, while increasing the thickness of the product. I feel like the one product - if any - that everyone is wondering about is this gel. What that thang do? How does it work? Let me be the first to tell you - better than I expected. Again, I thought I had another Curl Maker on my hands. I'll admit there are some similarities - but they still perform differently from each other. What I really liked about the Coiling All Curls gel was the shine and moisture it delivered, without making my hair feel greasy or stiff. I thought it was going to be super sticky - and it wasn't at all. Also, a little bit goes a long way - I used such a tiny amount of gel, I'm still in shock that this 8oz bottle will give me another 5 to 6 wash and go's before it's empty. That's practically unheard of in my neck of the woods! I also did enjoy the touchable hold and more voluminous results on day 1. It was a nice change of pace from my super defined, gelled-down look that I normally opt for. And for ladies in search of protein-free gel, this is it! Definitely more volume than I'm used to post-wash.
For me, the down side is one of styling preference. I tend to use heavier gels because I have multiple textures - some that frizz and shrink more than others. Heavier gels give me a more "even" curl look, and create a cast (aka crunch) that allows my style to last 4+ days. 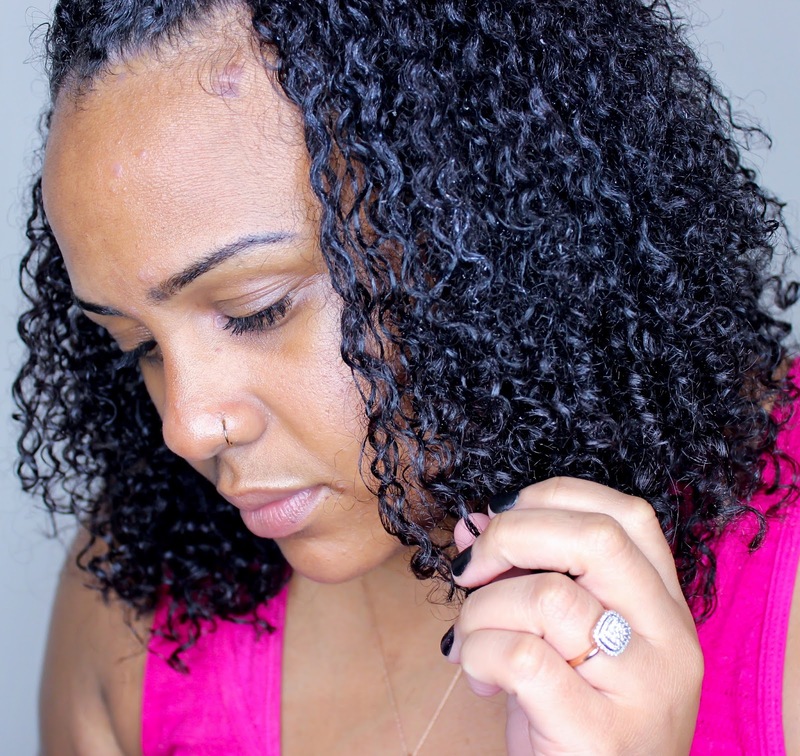 The truth is, Coiling All Curls was great for days 1 and 2, but after that I was ready to wash and start all over again - because the frizzier my hair gets, the more tangles I have to battle on wash day. 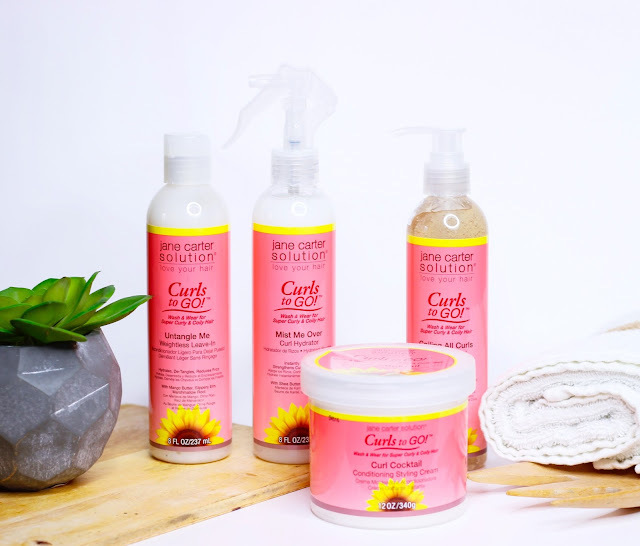 If you're a big hair kinda gal, then you'll love Coiling All Curls. If long-lasting definition is more your steez, I'd say skip this one. I'm on the fence. I think I may need to revisit Coiling All Curls in the summer, when the air is much drier. On another note, I have a feeling that my mom would LOVE this gel - she's a Curl Maker fanatic and loves definition and shine in her TWA coils. Trideceth-12: Polyethylene glycol ether of a long fatty alcohol, used as a surfactant (to emulsify and disperse). Mist Me Over is a super lightweight spritz that's great for refreshing curls, and adding moisture. I'm not super huge on spray refreshers, but I do like the way this one doesn't weigh down the hair or make it sticky - in spite of the presence of glycerin. Which products are you anxious to try? I don't have anything "bad" to say about Mist Me Over - it just didn't draw me in like Curl Drench, Untangle Me, and the Curl Cocktail Conditioning Styling Cream. It's not a bad product - I just didn't get any "wow!" from it. Honestly, based on the ingredients - I'd love to use this for a blowout/flat iron job. Cetrimonium Chloride is one of my must-have ingredients for heat straightening, because it improves the tensile strength of hair when it comes into contact with heat. I'll report back next time I straighten! Probably not. Just gotta be honest, ya know? Macadamia Oil: Butter rich in fatty acids, known for anti-aging and softening the hair. It gave my hair great shine, with only like two spritzes of oil. This bottle will literally last forever, lol. I've said it before, and I'll say it again for the ladies in the back. I'm not a fan of soybean oil. It has lots of nutritive properties, but it's just not something I'm personally in to. More than anything, it has a tendency to smell (to me). And no matter how well fragranced the blend is, I can always sniff out soybean oil from a mile away. It's just my quirk. Not saying that this is a bad product by any means - it's just not my steez. If it were made of majority macadamia and argan oil as opposed to soy, I'd be singing a different tune. Shine On did what it's name says - add shine, and softness. It's not a must-have for me, and not something I'd try to "make work" in another part of my regimen.